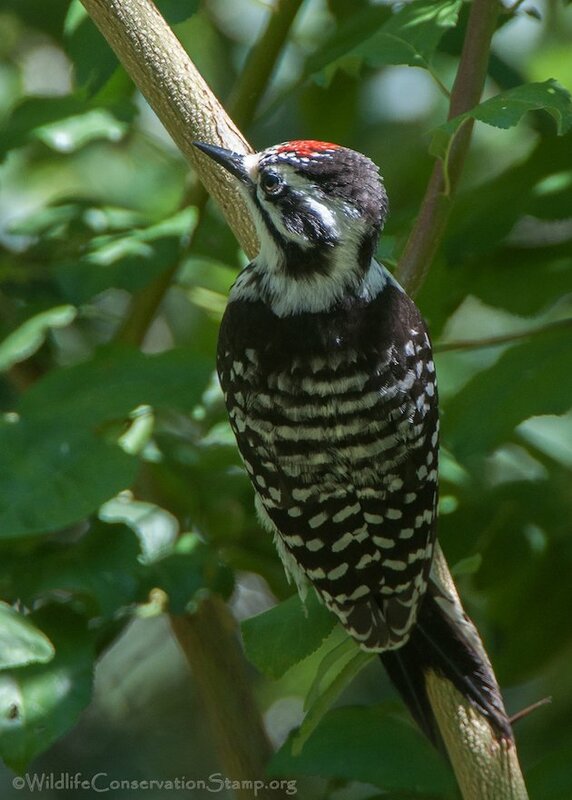 The Nuttall’s Woodpecker’s (Picoides nattallii) diet consists mainly of (about 80%) insects, primarily captured by probing and gleaning from tree bark. They also dine on some nuts and seeds but I never knew until I spotted this juvenile in our garden, that they also occasionally eat fruit! Click on photos for full sized images. 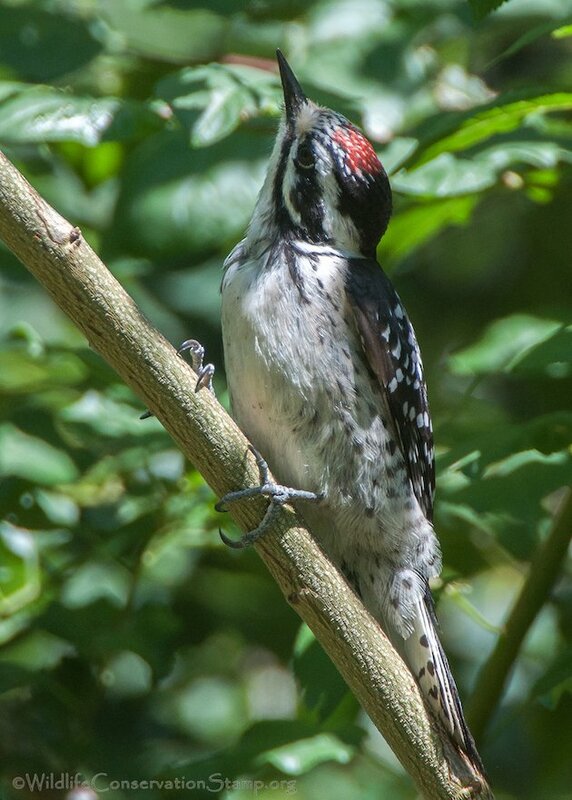 I first became aware of the bird’s presence when I heard the unmistakable raspy flight call this species utters, usually as it moves from one location to another. 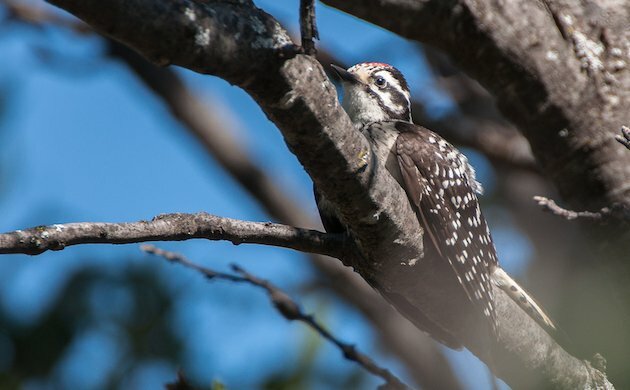 You can hear the Nuttall’s Woodpecker drumming, followed by the flight call in this recording. 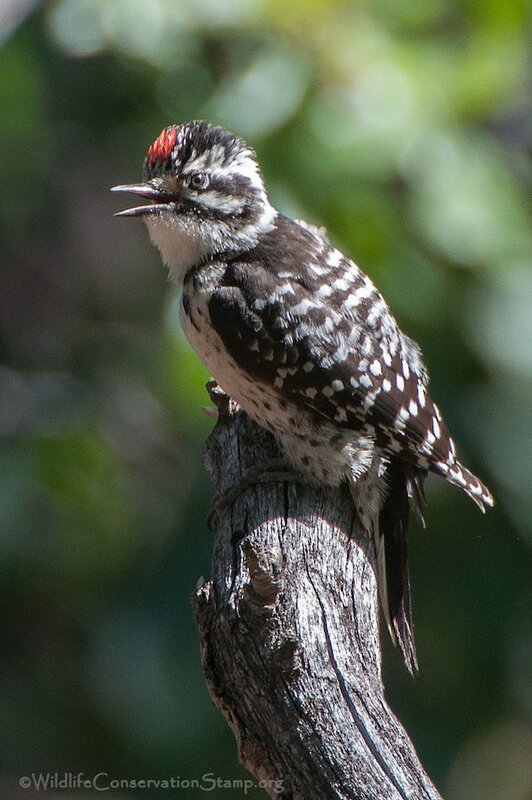 It is difficult to tell if this bird (above) is a male or female because both juvenile Nuttall’s Woodpeckers have the red crown feathers mixed with white. Note that the red does not extend back toward the nape. 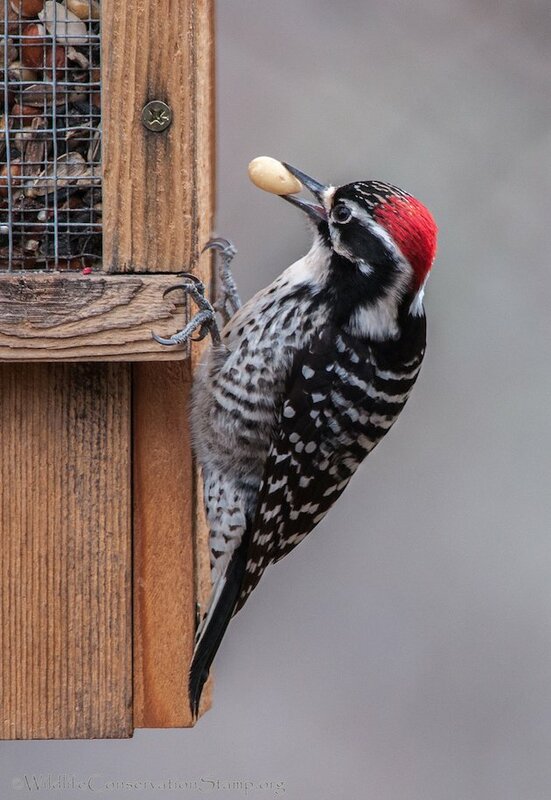 On the other hand, the posterior crown, occiput and nape of the adult male (this one photographed at my woodpecker feeder) is bright red. 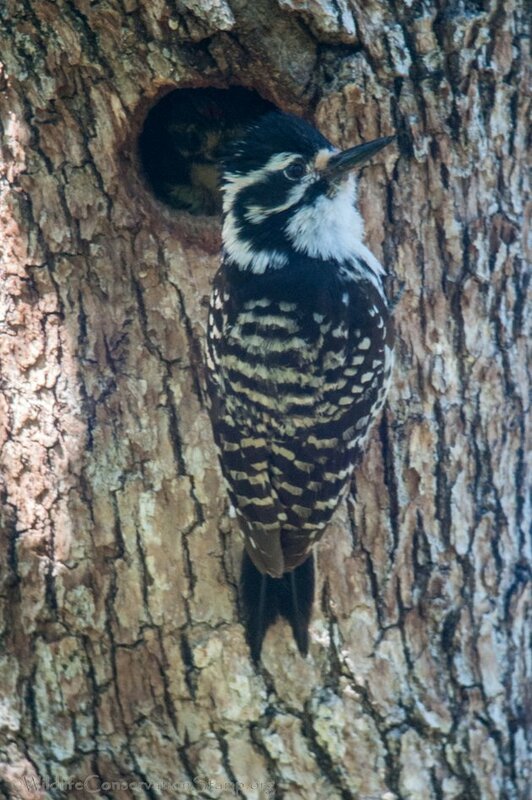 The adult female, seen here at the nest cavity a few years ago, has no red at all. 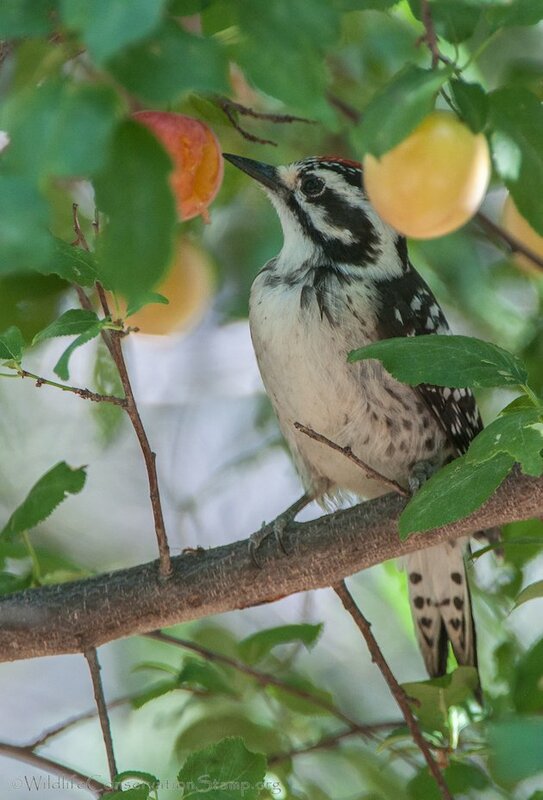 I followed this California endemic, from its call, to an oak tree near the garden. 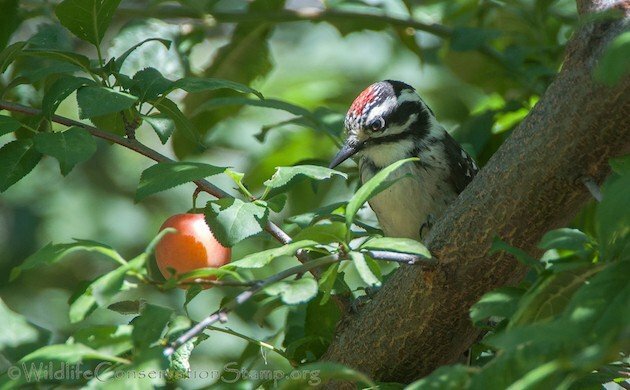 S/he was foraging for insects in the oak tree bark, and then, at one point, engaged in a behavior I had never seen before. 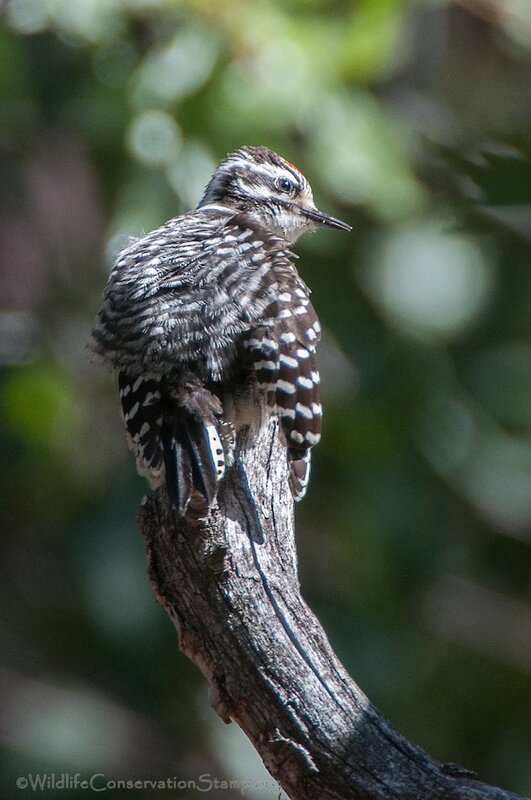 The bird laid down flat on the branch, with its wings hanging over the sides, and looked as if it was nap time. 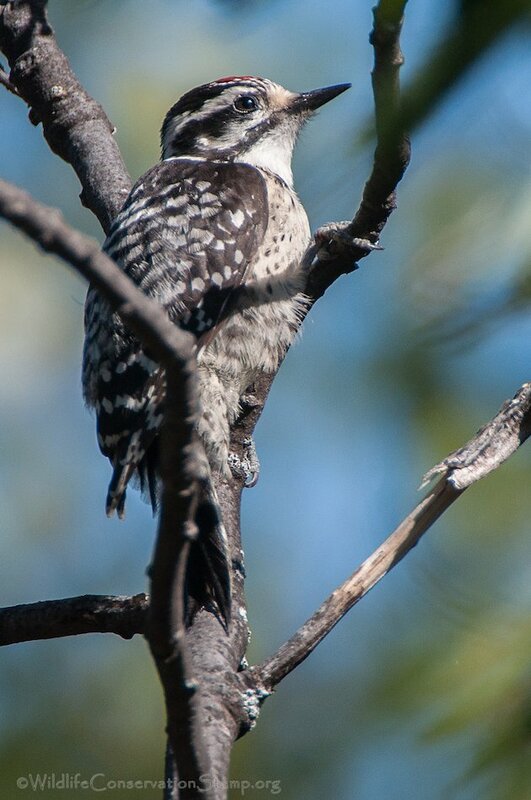 It soon decided to move to the top of a dead lower limb of another oak and preen. 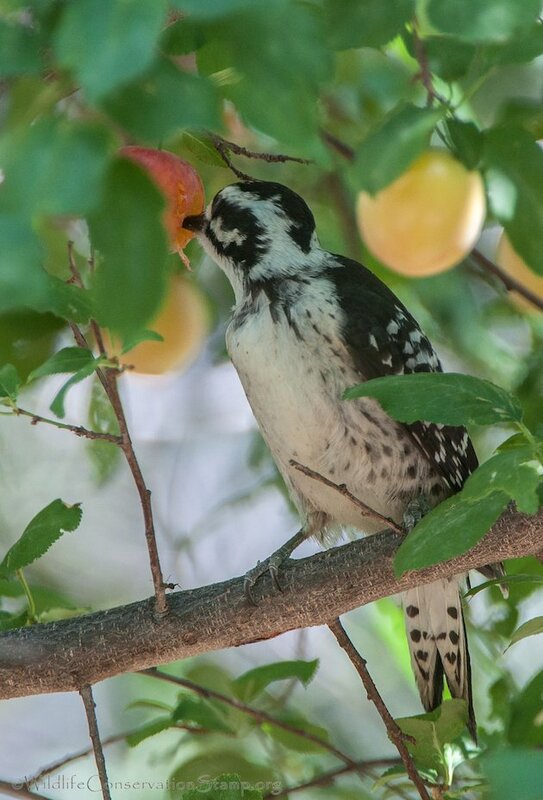 You are so kind to share your fruit with this beautiful bird! 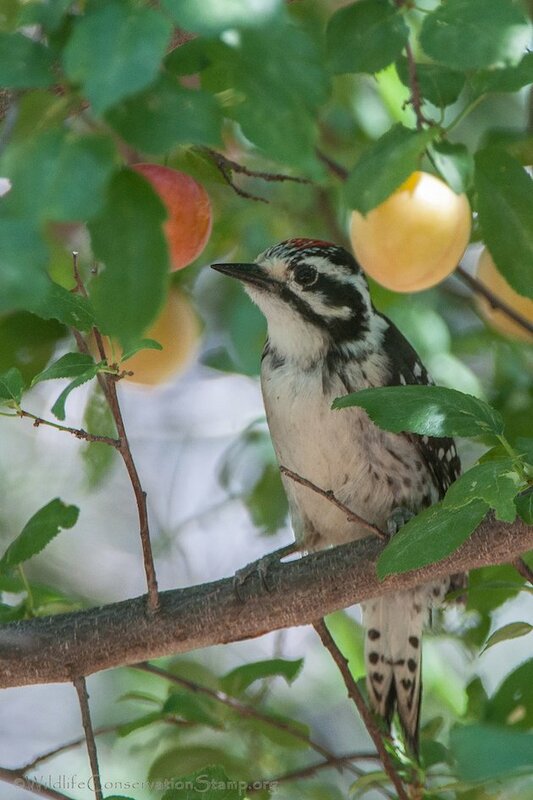 We saw one briefly in the Owens Valley earlier this year and it was a treat. Great photography and information! Thank you Karen. I love having them around. Aha! So you DO bait the birds to get those splendid images! LOL! 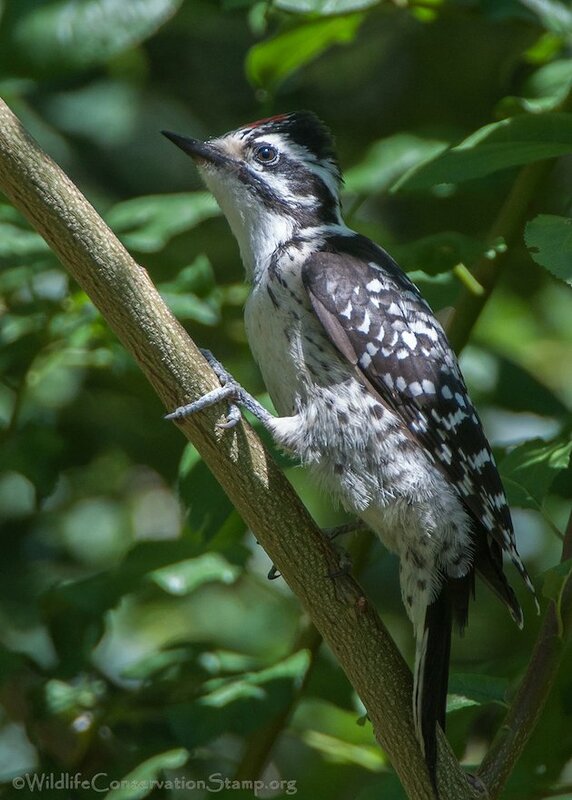 Beautiful photos of a really handsome woodpecker, Larry! Nice work!